If you’re like most Americans, you probably spend too much time inside. That’s a problem because humans need to get outside. It’s where our species evolved. In fact, spending too much time indoors can be bad for your mental health. Thankfully, there is a simple way you can get the time in nature that you need. Gardening at home is a simple, fun, and effective way to help your mind and body, and improve your holistic health. It’s common enough that it has a name: nature-deficit disorder. It’s when you suffer because you are spending so much time away from the great outdoors. This is especially true for children. Part of this is because humans adapted to nature and being outside. Deprive humans of that chance by staying inside too much, and it only makes sense that you suffer from depression eventually. In fact, a study from 2015 showed a big improvement in people’s mental health when they spend time outdoors. The research found that when it comes to spending time outside, you feel less frustration and more calm by spending time in natural nature such as a city park rather than a city street. Never mind how sunlight is needed to help produce vitamin D — being away from nature for too long can really hurt your mental health. But who has time to take hikes all day long? The same modern world that keeps us cooped up in boxes all day demands a lot of our time. That’s where a garden can come in. It’s something you can always do for just a little bit each day. 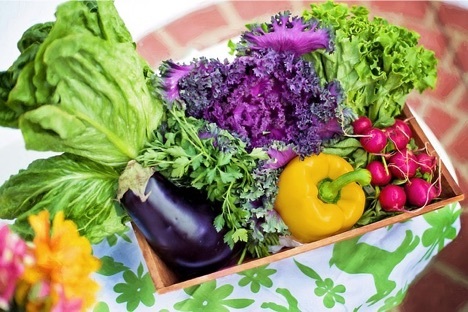 There are many benefits for your physical health to be gained from starting that home garden. First, it can reduce your risk of diabetes and heart disease. Partially, that comes from growing fresh vegetables and eating them. But more importantly, gardening is a low-impact form of exercise. There’s a good amount of bending, squatting, and carrying things, and all that movement adds up. The workout you get from gardening at home can even help you lose weight. A study has shown that the average weight loss from gardening can be 11 pounds for women and 16 pounds for men. Plus, this isn’t some dull, pointless exercise like running on a treadmill. Gardening is interesting work. It challenges your mind and gives you things to think about. In fact, all that work can reduce your stress and anxiety, which leads to a stronger immune system. Your body and mind are tightly connected, so it should be no surprise that gardening can also help with your mental health. 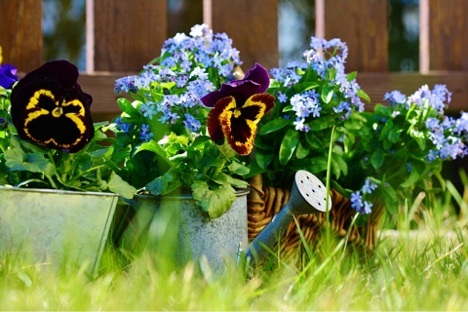 Studies have shown that gardening can improve your overall mood. Even if you’re not specifically suffering from nature deficit disorder, spending a little time each day in your backyard garden can do wonders for depression. Even people on medication to control depression can benefit from staying outside for a while. In fact, there’s really something amazing that happens when you harvest your vegetable garden. When you do so, your body releases a flood of dopamine. This is a natural chemical your body produces that triggers a feeling of happiness and even euphoria. Cultivating a garden can literally fight depression, and can even serve as an alternative method to help in addiction recovery. That’s why it’s high time to get outside and start gardening. Even if you live in the city, you can work on an urban garden and reap many of the same benefits you would as if you were in the country. There is nothing stopping you from improving your holistic health, and creating a beautiful garden in the process.